The winter season is here and the mountain enthusiasts out there are getting excited to hit the powder and cruise the slopes. You know the drill, head to the store room, garage, or bedroom, wherever your gear is, check it out, clean it off and throw it into the car. But wait, what about the helmet? Helmet, you say. How unimportant is that? Well, if you’re a superhuman boarder and never have a fall, then great for you! Everyone knows, whether they admit it or not, that once in a while you may have a tumble here and there, or perhaps have a closer interaction with a friendly tree than expected. If such an event happens, you’ll want to make sure that your helmet will be there to soften the blow. Even if you never have any incidents, having a helmet to keep your head warm is just as much a benefit. Over time, especially in cold conditions, helmets can weaken. 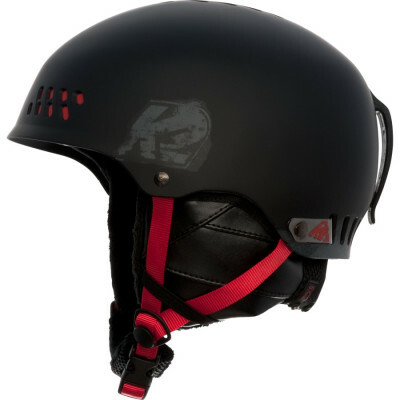 Just as your snowboard and clothing suffer wear and tear over time, so your helmet will too. Except with a helmet, it’s your head that’s on the line, not just your pride. It’s not just safety that is a factor for thinking about upgrading your helmet. New technology every year presents us with ever-improved products with better features, materials and designs, to make your time on the slopes safer and simply more fun. Over the last decade or two, helmets have become lighter and stronger with a closer fit to the head. The introduction of Bluetooth capability has meant that having your favorite tunes pumping into your ears as you ride down the mountain is a piece of cake. 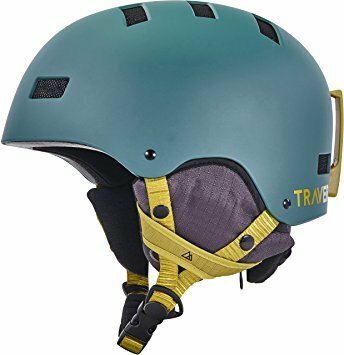 So if you’re in the market for a new helmet, read on and make your list before you hit the snow, literally. To select the right helmet, it’s good to start with the basics. Firstly, always use a helmet made specifically for the snow. A bike helmet will not adequately protect you from the specific hazards of what you’ll encounter on the mountain. 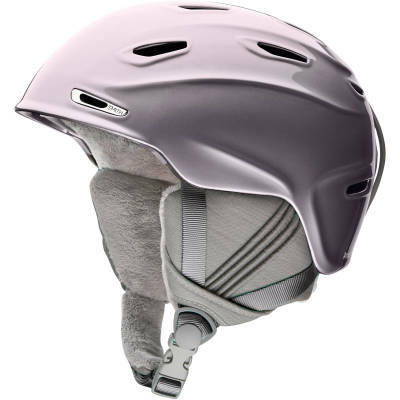 Apart from aesthetic design, ear protection is one of the major differences that you’ll find on a snowboard helmet as opposed to ones for other sports. Hitting the ice is not only hard, but cold, so keeping your head warm is also a smart move. A snowboard helmet consists mainly of two parts – the shell and the inner liner. The shell is the rigid, hard outer surface designed to protect the head from heavy knocks and sharp things like trees and rocks. The inner liner is commonly made up of EPS (expanded polystyrene) foam. Its’ purpose is to compress in the event of a strong impact, essentially absorbing the bulk of the kinetic energy, instead of it transmitting to your head. 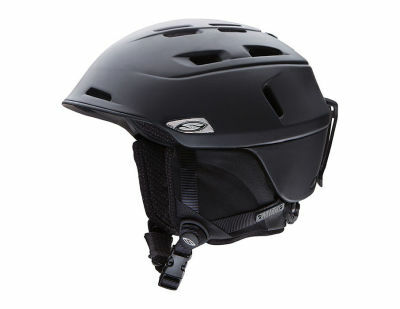 Most helmets on the market fall in to one of two categories – injection molded and hardshell. Injection molded helmets consist of a polycarbonate material that is durable and offers strong impact resistance. 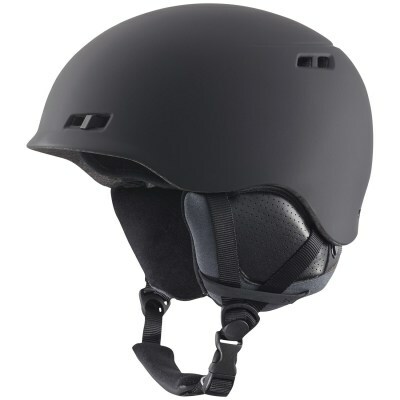 It is filled with EPS foam which results in a lightweight, comfortable helmet. They are more expensive and come with more vents. The hardshell helmets are more your classic ‘skateboard style’ helmet. They comprise of an outer shell which is usually a rigid plastic, with EPS attached on the inside. Compared with the injection molded helmets, they are cheaper and slightly heavier. There are specialized helmets that you can also buy. These can be made up of either material, but with added inbuilt protections for the serious boarder. They offer extra protection for the adventurous, but their high cost will most likely deter the casual rider. Maybe you want only basic protection as you know you won’t be venturing beyond the park, or because you’re simply an awesome rider. Or you’re thinking that maybe those steep drop-offs will be less frightening knowing that your noggin is fully protected. Then again, design and Bluetooth capability may be more important than any of those. Choosing the right helmet will depend on the level of comfort and protection you will need, depending on your mission on the mountain. While having a helmet that protects you all over, going for all out protection sometimes means a decrease in comfort. Your budget also comes into play, with as much variety in price as there are in designs. In reality there is not much difference between injection molded and hardshell helmets when it comes to functionality. They both adequately protect your head in all conditions. Certifications ensure that whatever helmet you buy has been tested and approved, so it’s not absolutely necessary to purchase the most expensive gear in order to guarantee sufficient protection. The main difference is the level of comfort each provides. This is a personal decision, one that would be weighed up between the amount of time you spend on the mountain and how high boarding is on your lifestyle pecking order. One of the more important aspects when selecting your helmet is how well it fits and how compatible they are with the goggles you wear. Every head is different and if you go to the store and start trying on different helmets, you’ll soon find that the level of comfort is very individual. In your case, you might find the more expensive, lightweight one may end up not being as comfortable as the bottom of the range. It is also important to ensure your helmet and goggles complement each other to provide a secure fit. The goggles need to fit snug against the rim of the helmet, without being pushed down too far or allowing too much space in between. When trying the helmet on, check to see if it wobbles from side to side. This will indicate whether or not it is too loose. Excess pressure anywhere on the head will tell you if the helmet is too tight. When it comes to adjusting the size, there are a few things you can do. Often, helmets will come with an adjustable ratchet or wheel so you can tighten and loosen the head fit at a touch. They can also provide a vertical adjustment to fine tune the gap between goggles and rim. You can also purchase additional pads to add thickness to the interior. Not only will it provide extra comfort but it can also be great for riders who like to wear beanies and for kids so that you can remove the pads as they grow without sacrificing safety. Additional accessories are available to enhance the rider experience. One of the main items you can customize are air vents. Because helmets are a safety device that fit close to your head, they are often constructed to protect all parts of your head, including ears. If you’re pulling 360’s and racing up and down the mountain, or it’s simply not that cold, this can result in discomfort from the excessive warmth generated by full head protection. Therefore, most helmets are designed with this in mind and provide vents to allow for movement of air. Some helmets are made with removable plugs, meaning you have to take the helmet off to adjust the air flow. More expensive varieties tend to opt for the vents where you simply push a lever to adjust the level of air allowed inside. ​​Another addition to the latest helmets are the various audio functions that you can play with. Love to hear your favorite tunes when cruising down the slope? Then Bluetooth capability might be a very important consideration for the musically-oriented. Built in speakers allow the rider to connect their phone up to listen to their music. An additional feature involves being able to communicate with each other, like divers’ helmets. This is especially handy if you’re hanging out with your buddies, whether in the park or in the wilderness. With all this knowledge about construction, material types and accessories you can add, it’s time to get into the top ten helmets for 2017. ​If you’re on a budget, after good functionality and don’t confine your sports to the snow, then the Traverse Dirus is a great choice. 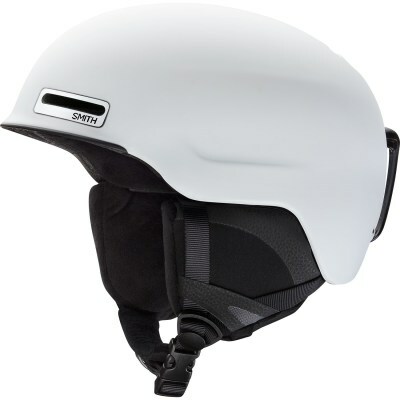 Offering the full safety and comfort of any snowboard helmet, the helmet is made with a hard shell construction. The main attraction is that it comes with a fully removable EPS liner that can be changed out with different pads (included) to use with other sports, for example biking and skating. Adjusting the fit is also made easy with the dial that turns to tighten and loosen the helmet as desired. Ear pads are fully removable and made of plush material for warmth and have a pocket to allow for earphones to be inserted in. Passive venting means that although vents are present and have been designed for your comfort on the slopes, they are not adjustable. Also, the inherent simplicity of these helmets may make them less suitable for more technical riders, or those requiring some extra features. But if your wallet is feeling light or you just want the one to cover all your favorite activities, the Dirus is a good value option. Giro have been making the Nine for a long time and have rightly attracted a large following. This excellent, middle ground helmet has all the features you need when it comes to functionality, comfort and design. Due to the polycarbonate and injection mold construction, it is lightweight and very strong, perfect for those long days up and down the hill. Venting is comprised of the Stack Ventilation with Thermostat control and is easily manipulated for a variety of conditions. For your tunes, the audio capability is there, however the gear has to be bought separately. The In Form Fit System makes the helmet fully adjustable around the head and also vertically so your goggle will fit nice and snug. 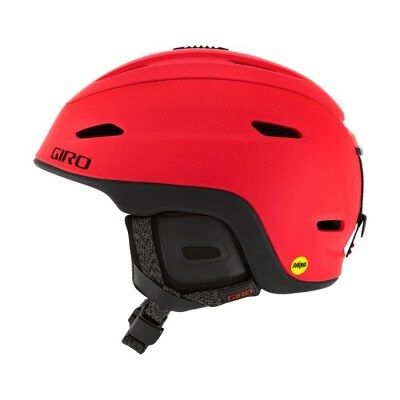 Lastly, as with other Giro models, this helmet is also available with the MIPS technology for added safety, for an extra cost. Great helmet that is strong and full of features, with designs for every member of the family. The Maze is a very strong entry from Smith claiming to be the world’s lightest commercially available helmet. 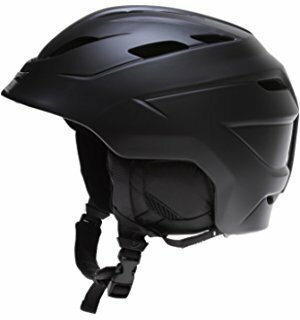 Manufactured with EPS injection mold, this easy to use, sturdy helmet will perform extremely well in any terrain. The fact that the vents are fixed is a little disappointing, but the ease of use in the rest of the product more than makes up for it. It is super strong as it is and with an extra cost, you can get your hands on one with MIPS technology for that extra protection. The Lifestyle Fit System is self-adjusting by way of an elastic strap making it a breeze to find the perfect fit for you. While the ear pads are completely removable and come with the ability to fit a Skullcandy audio system. If you’re on the lookout for a nice looking, extremely lightweight, strong and functional helmet, you will not be disappointed by one of these. ​If you’re tired of being disappointed that your helmet always seems to be missing something, then the Giro Zone is for you. Designed with every feature imaginable, the Zone’s excellence begins with its hybrid construction. 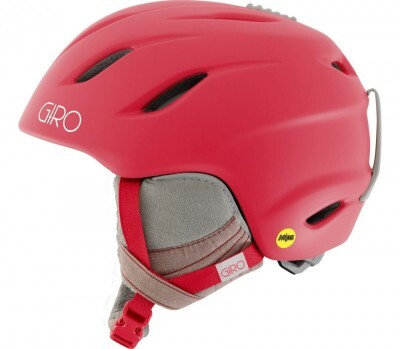 An upper hard shell exterior combined with an injection molded lower, Giro’s engineers were clearly looking to get the optimal performance out of this helmet. Everything is easily adjustable, from the dial-operated In Form fitting to the vents with sliding bar for fine tuning. Some other features in the Zone are the POV camera mounting for your Go-Pro, the Fidlock magnetic buckle closure, and special anti-odor protection with silver to keep your helmet smelling fresh. It wouldn’t be complete without MIPS technology, making it even safer than it already is. To top it all off, Bluetooth functionality is present, by way of ear pads that will accommodate the latest and greatest speakers. Prepare to dig deep in your pocket for this gem though, which might put off those that might find the features they want and need in a cheaper product. Demon have designed their gear for riders that are concerned with aesthetics and the Phantom is no exception. Trendy and colorful designs await the buyer, and with the added inclusion of audio speakers in the ear pads, boarders who like to stylishly cruise their way down the slope will be pleased. 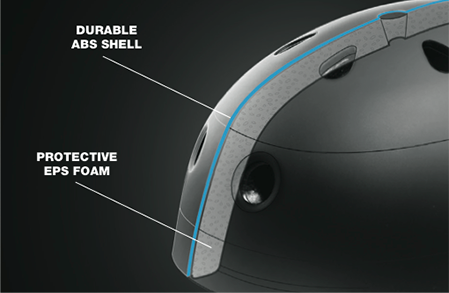 The hard shell exterior is strong and durable and will effectively protect your head, which is the main point in any helmet. Sure it’s a little heavier, the vents are fixed and the fitting is not as easily adjustable as other more expensive helmets. But what it lacks in general design it makes up for in the price. One of the most affordable helmets in the stores, the Phantom is an excellent choice for the rider on a budget who still wants to stylishly protect themselves. It wasn’t that long ago when wearing just a beanie down the slope was considered sufficient protection. When helmets began to make a regular appearance, they tended to be quite heavy, too hot and sometimes downright uncomfortable. 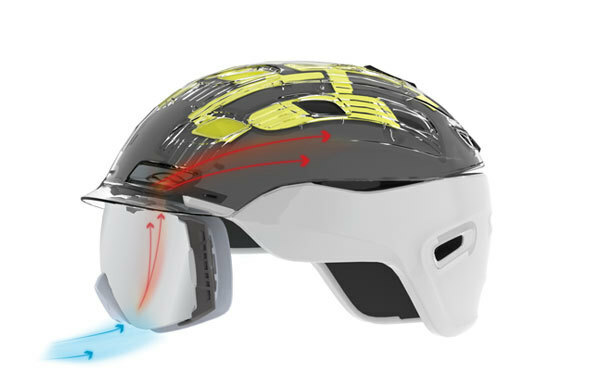 The technology available now has virtually eliminated all those nasty sides and anyone can afford a safe and comfortable helmet to protect their noggin. The cheaper helmets in our review, the Traverse Dirus and Demon Phantom, both have the features necessary for a safe day in the snow, while sporting clever and attractive designs. They’re a good pick for the casual rider, or in the case of the Dirus, those after good value for money across many sports. If you need every feature under the sun and your budget is unlimited, then you should opt for the Giro Zone. This helmet is probably the best helmet in our top ten, but perhaps is also excessive for what is fundamentally a safety device. There are a lot of excellent mid-range helmets that will do the job and have all the attributes that matter, especially in terms of safety and comfort. If you’re in the latter category, then any of the Smith helmets as well as the other ones featured in our review will be absolutely adequate for what you’re looking for this ski season. Full and easy adjustability in terms of fitting and venting are practically standard now, while lightweight technology is no longer confined to the pro gear. A wide variety of helmets may make purchasing one time consuming. Luckily, you have the confidence that most helmets will provide the very thing they’re designed to do regardless of your budget. Having a good quality helmet is very important to ensure a safe and comfy ride, one that will ensure you enjoy many more seasons in any conditions.